Ever since the new Malaysian gahmen took over, they keep trying to find ways to disturb Singapore leh. Firstly, they want to review the price of water. Next, they want to revive the crooked bridge project. Now, they try to stir dispute with us over airspace and water space. Malaysia decided themselves that they want to extent their port limits of its Johor Bahru Port. They went on to publish a “Declaration of Alteration of Port Limits for Johore Bahru Port” and informed the shipping community about the expanded boundaries. Malaysian budget airline Firefly says that it will suspend all flights into Singapore from 1 December onwards. Firefly would only resume services once can sort out regulatory issues regarding its move from Changi International to Seletar Airport. Civil Aviation Authority of Malaysia (CAAM) say Singapore never consulted them on the timeline to move Firefly’s operations from Changi International to Seletar Airport. Malaysia said that they are willing to work with Singapore on the regulatory issues related to Singapore’s plan for the move, as well as all other issues. They also want to review the terms and conditions of delegation of Malaysia’s airspace to Singapore to provide Air Traffic Services. Civil Aviation Authority of Singapore (CAAS) says that the Malaysian authorities haven’t given Firefly permission to move its operations to Seletar Airport. They also added that the airspace issues are not related to the relocation. CAAS says that Singapore has already conveyed to Malaysia that they are committed to work together on airspace issues in the interest of international civil aviation and bilateral cooperation. 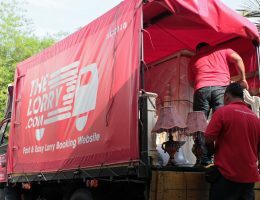 Singapore said that they have already informed Malaysia Ministry of Transport and Firefly about the timeline for Firefly’s relocation in 2014. In July 2018, the Changi Airport Group formally informed Firefly that its flights would be relocated to Seletar Airport on 1 December. Firefly agreed. The Maritime and Port Authority of Singapore (MPA) issued a letter to Malaysia to say that it does not recognise the expansion of Malaysia’s port limits. Because, apparently, the boundaries that Malaysia wanted to extend to had “eat into” Singapore’s territorial waters and the approaches to the Port of Singapore off Tuas. Malaysia’s Transport Minister Anthony Loke says Malaysia will issue a protest note to Singapore and not let Singapore use the southern Johor airspace for flight operations at Seletar Airport. Loke also said that Malaysia want to take back the control of the airspace over Southern Johor. 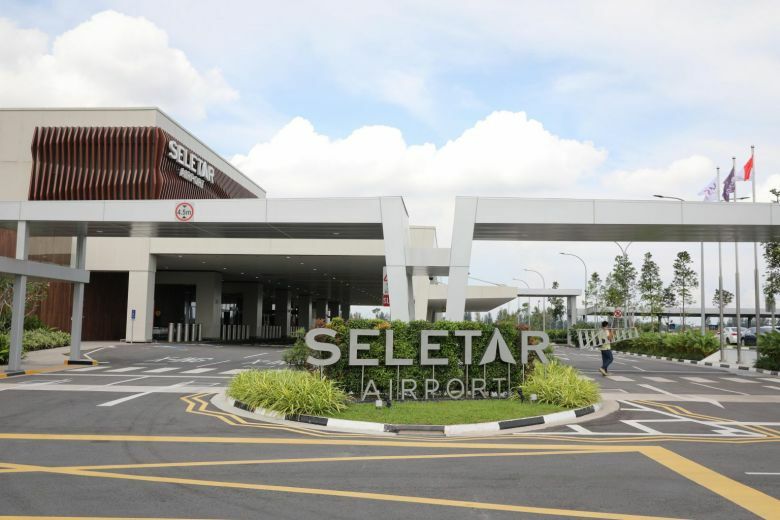 Loke said that they decided to not allow Singapore to go ahead with the new Instrument Landing System (ILS) procedures for Seletar Airport because they want to protect their airspace sovereignty and the ILS will disturb Pasir Gudang’s development. Malaysia said that they have communicated their decision to Singapore on 28 and 29 November, but still, Singapore went ahead with the ILS. Singapore’s Transport Ministry clarified that international law is clear that cross-border airspace management is not incompatible with sovereignty, but instead, the purpose of airspace management is to ensure the safety and efficiency of air traffic. Singapore’s Transport Ministry also revealed that ships and vessels from Malaysia have been repeatedly intruding into Singapore’s territorial waters off Tuas over the past two weeks – including vessels from the Malaysian Maritime Enforcement Agency and Marine Department Malaysia. Nevertheless, Singapore gahmen is strongly against Malaysia’s move to anyhowly extend port limits because it violates sovereignty and international laws. Singapore will not hesitate to take firm action against intrusions and unauthorised activities. On the night of 4 December (Tuesday), Singapore’s Ministry of Transport released documents to show that CAAS has been reaching out to its Malaysian counterpart since December last year. An extract of minutes of a Standing Committee to the Aviation Consultative Committee Meeting between between Malaysia and Singapore on 5 December last year in Kuala Lumpur. Email correspondences from CAAS to CAAM in December last year and June this year to ask for their operational feedback on the ILS procedures for Seletar Airport. But Malaysia did not reply. CAAS also said that it had engaged the Civil Aviation Authority of Malaysia through emails, letters, and even when they were at an International Civil Aviation Organisation event. During a meeting on 29 November in Singapore, the Malaysian authority raised technical concerns, to which CAAS had addressed it. The CAAS also conveyed its intentions to go ahead with the ILS procedures on 1 December. Again, when both parties met again the next day in Kuala Lumpur, the Malaysian authority also did not raise any new concerns either. Just so you know, the south Johor airspace has been managed by Singapore for decades leh. Can like that say want to take back then can take back one meh? Excuse me, Singapore is managing the south Johor airspace because it is an arrangement approved by the International Civil Aviation Organization (ICAO) since 1973 leh. 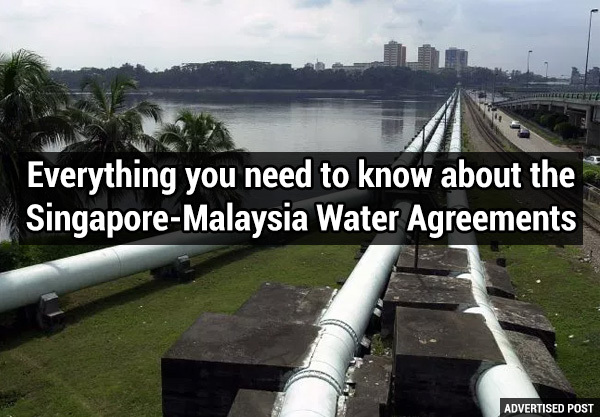 And got bilateral agreement in place with Malaysia that was dated back to 1974 one you know? And as if it is not enough, now they also want to anyhowly extend the port limits of its Johor Bahru Port to “eat” into Singapore Territorial Waters. Roll eyes! Last time, in 1979, Malaysia already published maps which showed what they said their boundaries were. Then last month, they anyhowly take the map, use a pen and draw as they like to extend the Johor Bahru Port limits beyond those boundaries. Can meh? You say you say, can like that suka-suka one meh?! Please hor, we’re Singaporeans and we believe in upholding international law and respecting bilateral agreements. You think we cowboy town ah? Looks like this Dr M is using the same old tricks he has used in the past. Whenever he faces political challenges or simi-sai back home and is at risk of losing support, he will always set Singapore up as bogeyman. If you ask him how to win support for himself? He will probably tell you secretly: Find trouble with Singapore lor! We must never let other countries take advantage of us. So hor, brothers and sisters, please hor, we’re One People, One Nation, One Singapore! Previous Previous post: Money Still No Enough??? Next Next post: 5 Budget Destinations For a Short Getaway.